Given Solitude's obvious importance as a major city, many forts and castles were established around the hold to deter and defend from attackers. Most have fallen into disrepair or have been completely demolished. In 3E 127, after the death of Uriel Septim III, his mother, Potema, turned Haafingar for the next 10 years to the land of death. Stories of the ancient Wolf Queen being waited on by rotting skeletal chambermaids and holding war plans with vampiric generals terrified her subjects. In 3E 145, the Jarl of Solitude, Pelagius Septim III was declared Emperor. Unlike most Emperors he ruled mainly from Solitude and not the Imperial City. Almost from the start of the reign of Pelagius III, the eccentricities of his behavior were noted. He embarrassed dignitaries, offended his vassal kings, and, on one occasion, marked the end of a grand ball by attempting to hang himself. 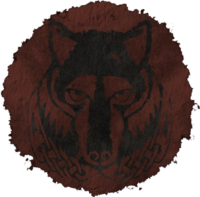 His madness is speculated to have been caused by Potema the Wolf Queen, whose own insanity was said to have been infused in Castle Solitude, infecting the next king to rule there. 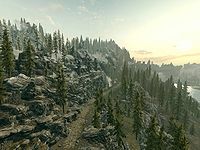 In the Fourth Era, following the Great War, the Thalmor established an embassy in these mountains from which to root out the worship of Talos in Skyrim.